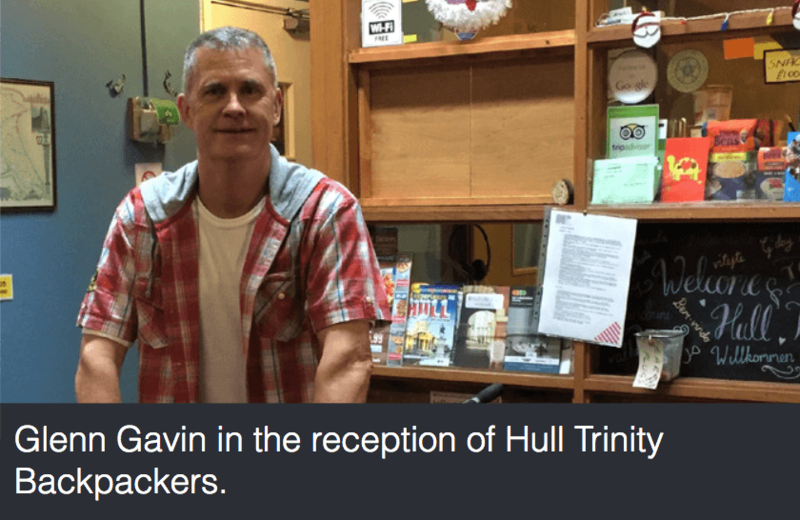 A college lecturer with a passion for travel is aiming to offer affordable, independent hostel accommodation in the heart of Hull’s Old Town after taking over Hull Trinity Backpackers. suitable for groups or individuals on a budget. Guests so far have included a Japanese busker, an Italian actress, Spanish and Portuguese volunteers training to work in Africa, Aussies and Kiwis tracing their roots, students, and contractors working for local companies. With around 25 beds priced at between £19 and £30 the emphasis is on safety, cleanliness and comfort. The property has new washing and drying facilities and is equipped with Lightstream broadband throughout. Glenn said: “We cater for varied needs. Our first floor is predominantly dormitory style beds, suitable for groups, or individuals on a budget. There’s also a family or close friends room which takes four but is also en-suite. kitchenette area, though more ‘Ready Steady Cook’ than ‘Masterchef’.